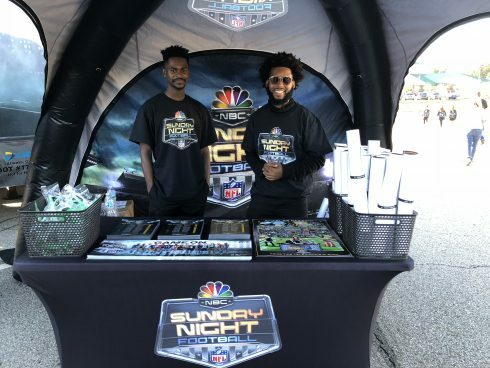 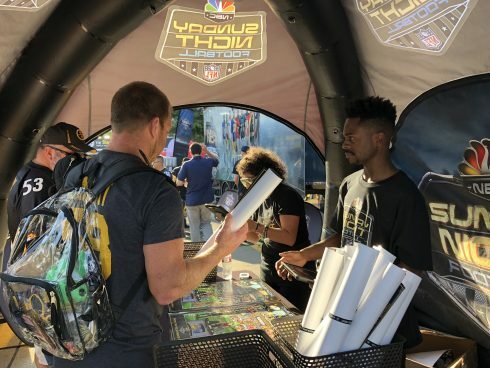 NBC’s Sunday Night Football broadcast has been prime time television’s #1 show for seven years and they wanted to celebrate that feat. 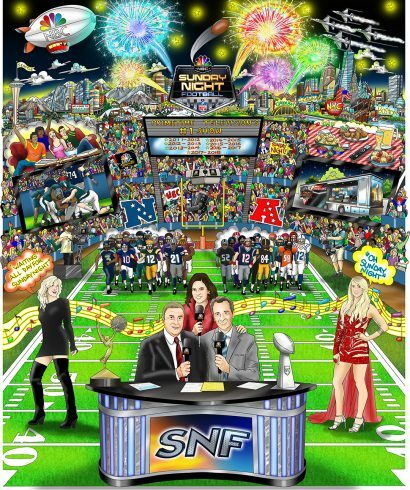 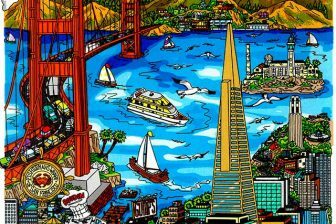 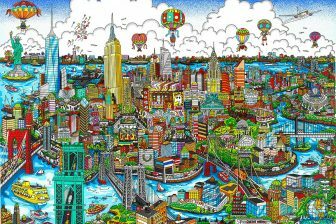 To do so, they turned to Charles Fazzino, who created a commemorative artwork encompassing the best of the broadcast. 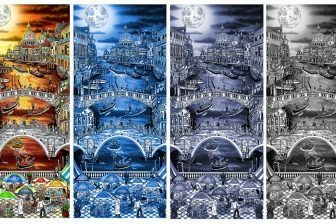 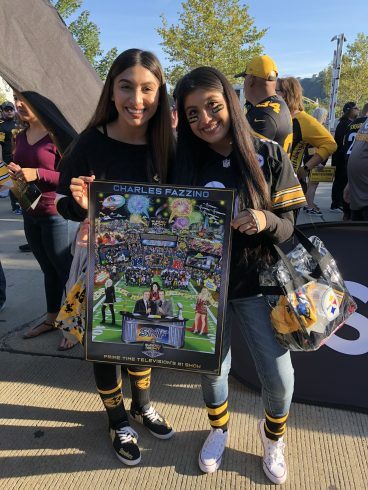 NBC Sports sent framed limited editions as gifts to each of the NFL team’s owners and is giving out complimentary Fazzino posters to fans at each stadium prior to Sunday night games during the 2018 Season.